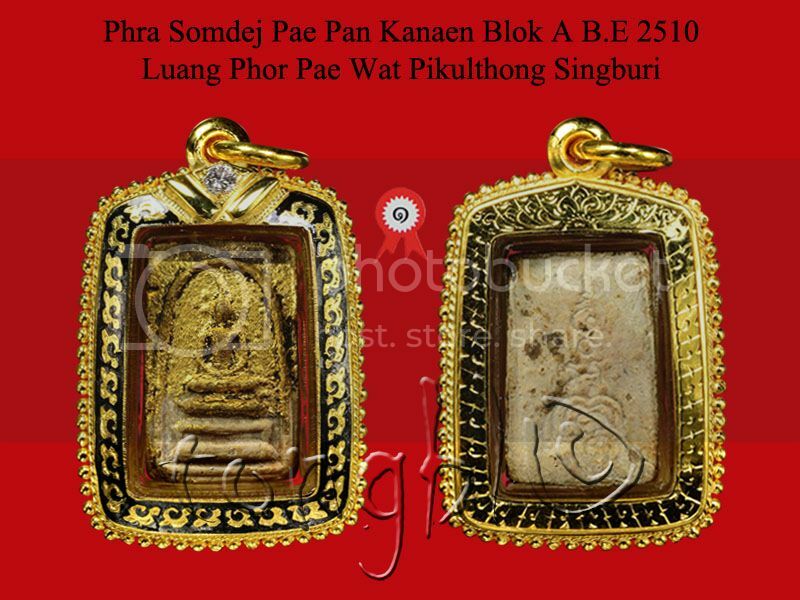 Awarded 4th placing in Bitec amulet competition on 14/9/2557. 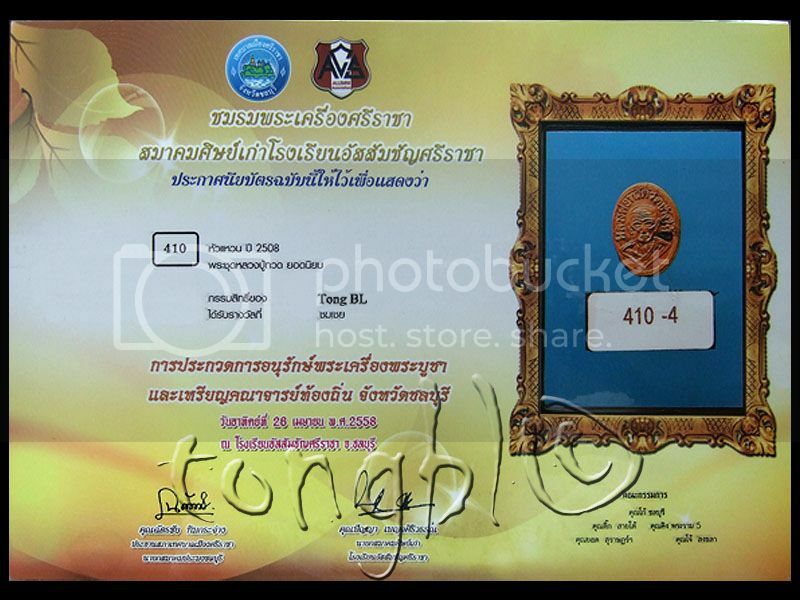 Awarded 1st placing in amulet competition at Chaeng Wattana on 21/06/2558. 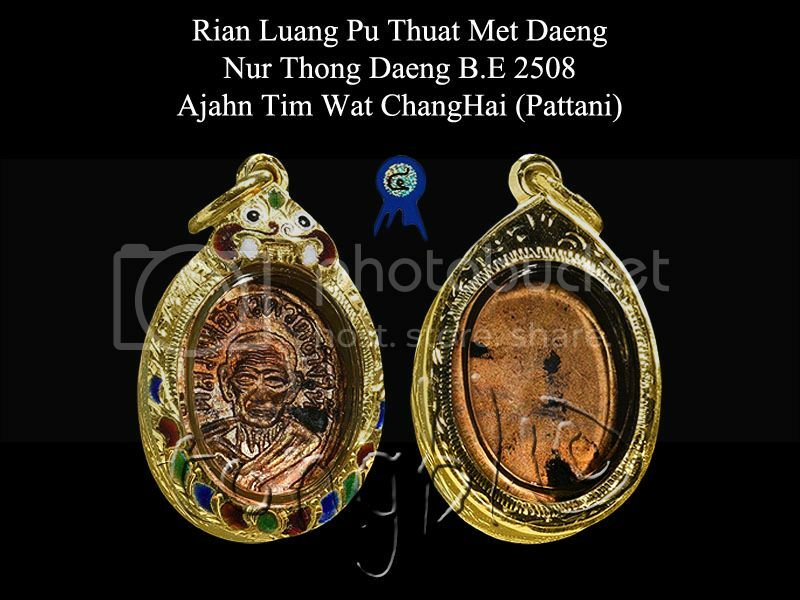 Luang Pu Tim Wat Lahanrai. 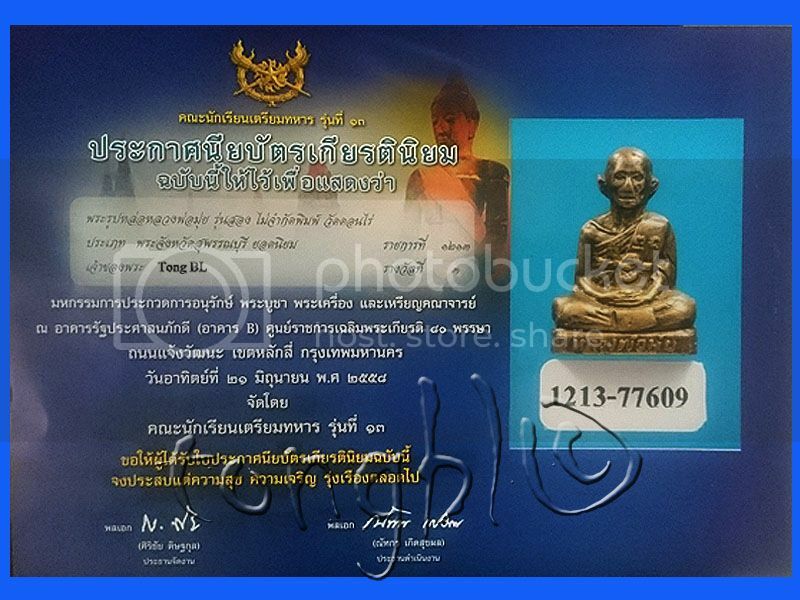 Awarded 4th placing in amulet competition on 17/03/2556. 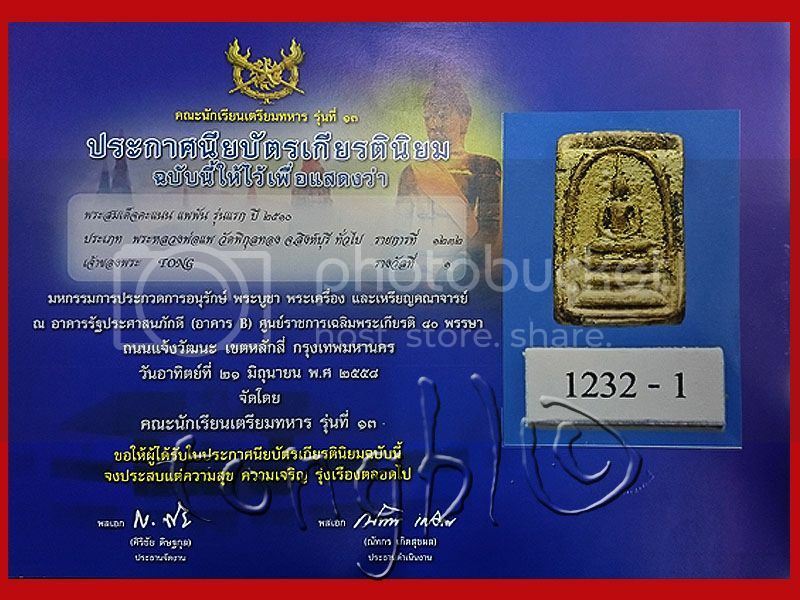 Awarded 3rd placing in amulet competition at Chaeng Wattana on 21/06/2558. 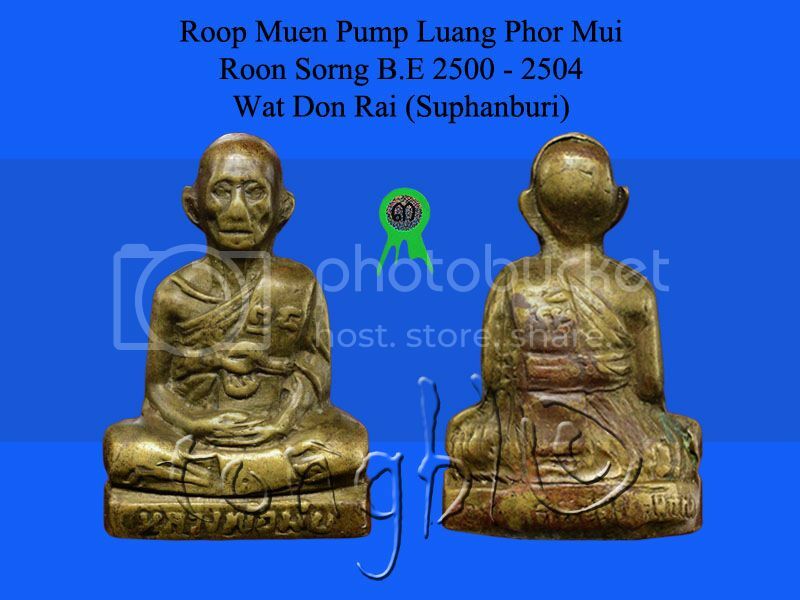 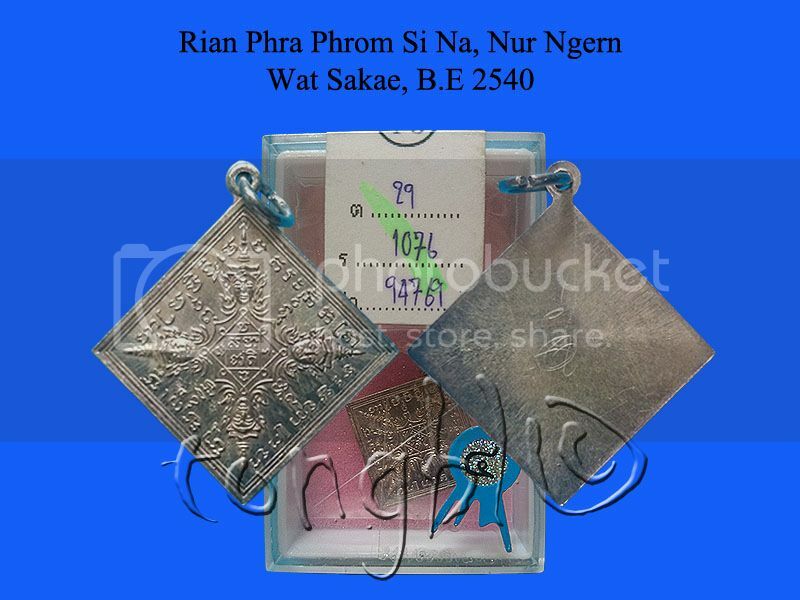 Rian Luang Pu Thuat Met Daeng Nur Thong Daeng B.E 2508. 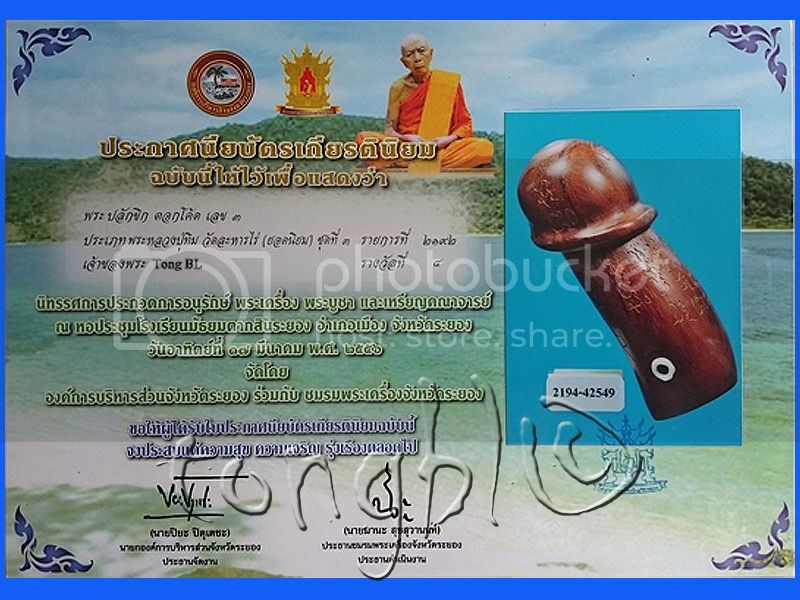 Ajahn Tim Wat ChangHai (Pattani). 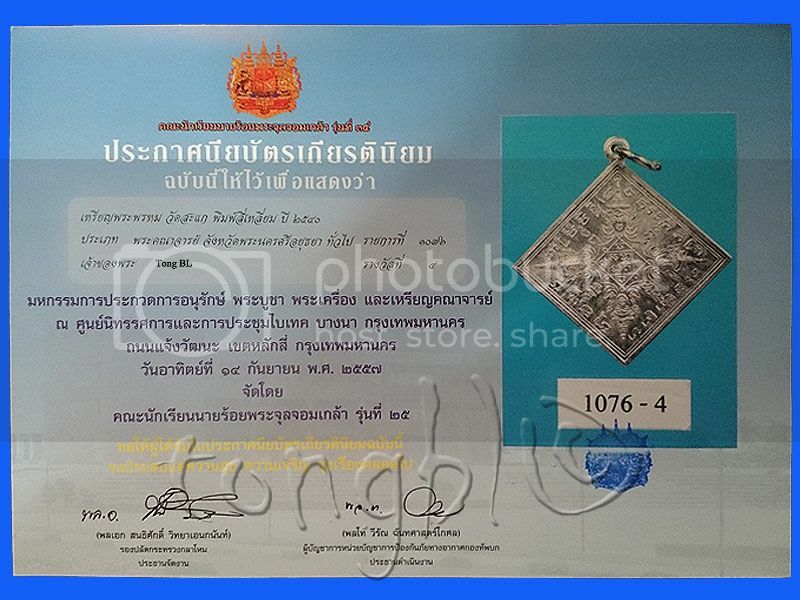 Awarded 4th placing in amulet competition at Chonburi on 26/04/2558.